theitalianculturalcenter - ES15 SOLD OUT! - Symposium - Leonardo Da Vinci: the Scientist, The Inventor, The Artist: Legacy of the Ultimate Renaissance Man. ES15 SOLD OUT! - Symposium - Leonardo Da Vinci: the Scientist, The Inventor, The Artist: Legacy of the Ultimate Renaissance Man. Parking is available at the 19th Street Ramp (across from HHH and Carlson), and at the 21st Ave. & 4th Street ramp (across from Rarig Center). This event is FREE but seating is limited – Please register here to reserve a seat. 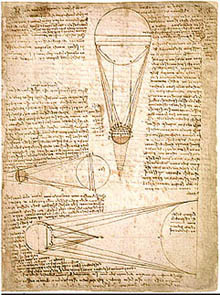 In the 15th century, Leonardo formulated and experimented scientific principles based on evidence. Only in recent years experts in various disciplines have begun to analyze and elucidate the thousands of pages contained in his manuscripts, including the Codex Leicester on exhibit at MIA this summer. In this workshop, 4 highly recognized Leonardo experts will present Leonardo’s vast legacy from different perspectives. Alex Bortolot, curator of the Codex Leicester Exhibit and content strategist at the Minneapolis Institute of Arts. A specialist in African art, he helped reinterpret the museum’s African galleries, and is overseeing a reinterpretation of all galleries to ensure a state-of-the-art visitor experience. He was previously an assistant curator at the Hood Museum of Art at Dartmouth College. Mark Rosheim, engineer, inventor and founder of Ross-Hime Designs, has produced designs and products based on Leonardo’s drawings. He is the author of 3 books including Leonardo’s Lost Robots and has published many articles and lectured at several prestigious institutions. Michael Gaudio, Associate Professor in the Department of Art History at the University of Minnesota. He specializes in the visual arts of early modern Europe and the Atlantic world, and has published widely on the visual arts in relation to early modern science, religion, and cultural encounter. Alex Bortolot will present “Leonardo da Vinci, the Codex Leicester, and the Creative Mind”. He will discuss the MIA exhibit of the same title and explore its central premise: that the Codex Leicester, one of Leonardo's scientific notebooks, provides a window into his creative process, and allows us to draw connections between his work and that of contemporary artists, engineers, and designers. Sara Taglialagamba and Mark Rosheim, outstanding experts on Leonardo, will present "Leonardo's Robot Lion". This promises to be an intriguing topic given the many accolades and television appearances Mark has collected in his career. Michael Gaudio will discuss “Art and Science in the Work of Leonardo da Vinci”. He will talk about Leonardo's work and its relationship to our modern categories of "art" and "science." The presentations will be followed by a short Questions & Answers session. Thank you to the Center for Early Modern History, University of Minnesota the Department of History (CLA), University of Minnesota, and The James Ford Bell Library and Associates for their valuable contribution.